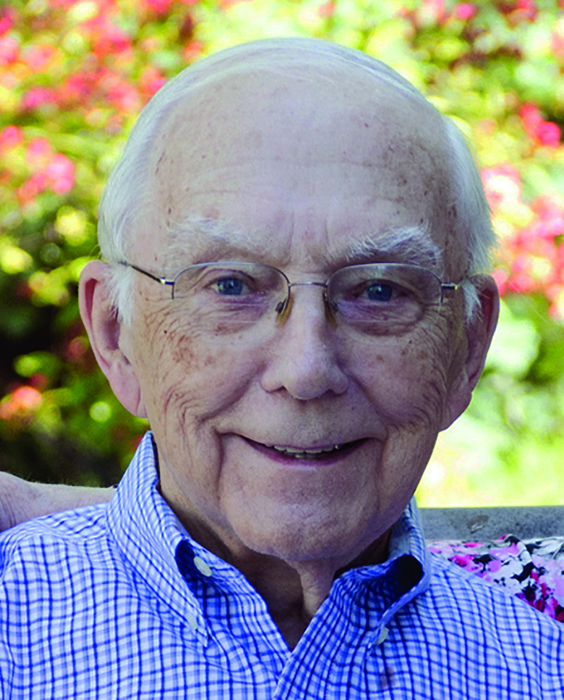 Philip John Becker, 89, of Elgin, IL, formerly of Peoria, IL, passed away peacefully on January 28, 2019. He was a kind man who lived life on his own terms, dedicated to his family, friends, teaching, and his love of trains. He attended Glen Oak School and Woodruff High School before earning his Bachelor’s and Master’s degrees from Bradley University, both in Physics and Mathematics. His thesis involved building and testing a scintillation spectrometer that measured the energy of subatomic particles emitted by radioactive isotopes. Immediately after fulfilling his service in the Army as a fire control optics instructor at Aberdeen Proving Ground in Maryland during the Korean War, Philip returned to Peoria to begin his career as a teacher at Woodruff. When Richwoods High School opened in 1957, he became its first physics professor and served as chair of its Science Department. While teaching at Richwoods, Philip chaired a civic committee organized to save a Chicago Rock Island and Pacific Railroad steam locomotive that had been previously placed in Glen Oak Park as part of a playground. The 886 (887) locomotive was successfully restored and is on display at the Wheels O’ Time Museum in Dunlap, IL. When the State of Illinois established the community college system, Philip became a physics instructor at Illinois Central College (ICC) in East Peoria, later becoming a full professor of Life and Physical Sciences teaching physics and astronomy until he retired 25 years later. In 1989, Philip received the Gallion Award, a prestigious, student-nominated award for excellence in teaching. He was also one of the principal planners of ICC’s Solar House, an experimental facility which demonstrated alternative energy sources. After he retired, Philip volunteered at the Illinois Railway Museum for 15 years where he served as a conductor giving oral histories about the train cars and even drove a streetcar, a dream he fulfilled 55 years after he first watched streetcars pass outside his grade school. He is survived by his wife Joyce (nee Carroll) Becker of Elgin, IL; daughter Julie (Leonard) Somogyi of Bolingbrook, IL; son Brian (Sue) Becker of Round Rock, TX; grandchildren Lauren and Craig Somogyi and Peyton and Riley Becker; and his cousins Richard Cook of Double Oak, TX and Viola Cook Beal of El Paso, IL. A celebration of life will take place at the Universalist Unitarian Church of Peoria, IL, on June 29, 2019 at 11:00am. Inquiries may be directed to 309-688-5608 or office@peoriauuchurch.org. Arrangements entrusted to Cardinal Funeral Services. Those who wish to express their sympathies and sign our guest book may do so at www.cardinalfuneral.com. The family wishes to share that Philip’s greatest hope was for people to recognize the urgency of climate change and invest in efforts to find alternative forms of energy. His wife, daughter, and granddaughter who are lifelong Girl Scouts, and along with the rest of his family, have established the “Philip J. Becker Eco-Advocacy Endowment Fund” in keeping with his wishes. The fund will be administered by the Girl Scouts to inspire girls to take action and advocate with urgency on better environmental practices. Gifts may be made in Philip J. Becker’s memory at girlscoutsgcnwi.org/donate. There's still time to send flowers to the Celebration of Life at the Universalist Unitarian Church at 11:00 AM on June 29, 2019.